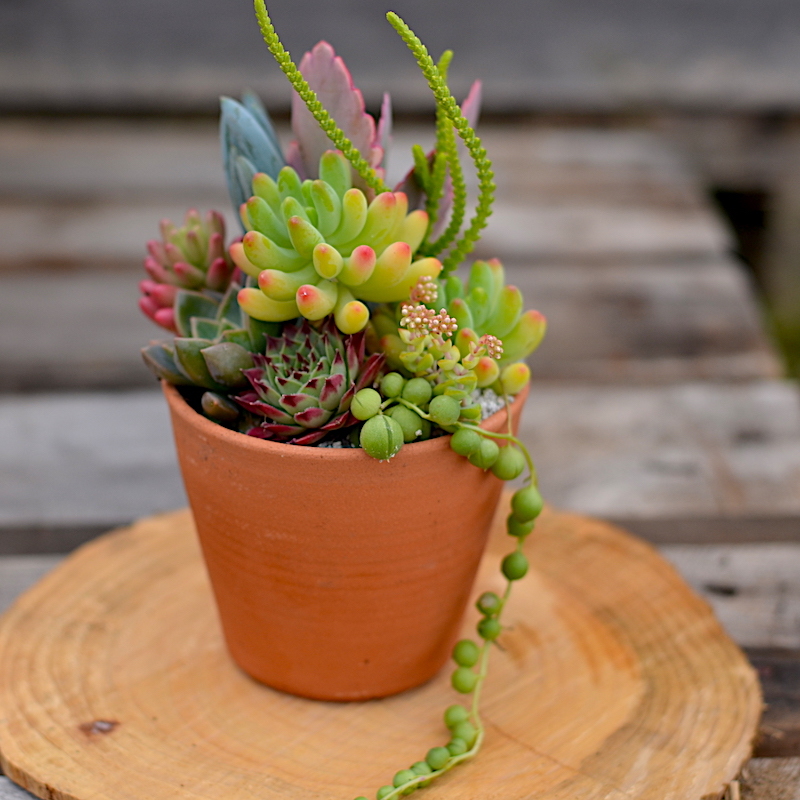 Frost resistant fired terracotta pot, hand thrown at Pendeen Pottery, sold with a unique range of hand-picked succulents with complementary shapes and colours. 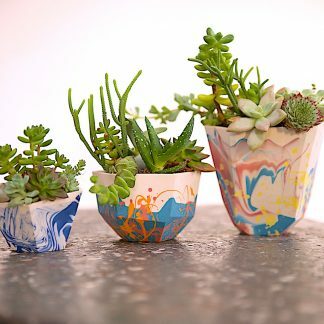 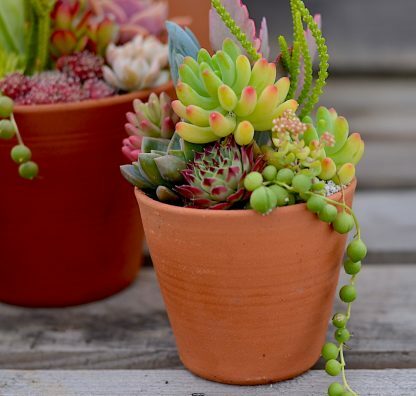 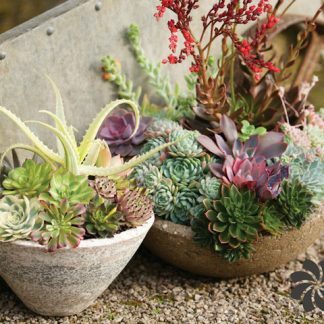 The type of succulents for each pot will be unique and may look different from the picture above. 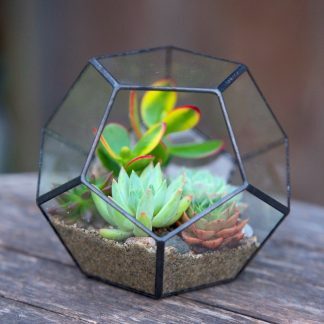 On trend living statement terrarium for your home.